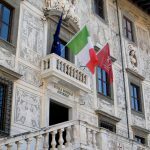 The Scuola Normale is expanding its post-graduate study syllabus with three PhD courses: in “Astrochemistry”, “Global History and Governance” and “Transnational Governance“. They are organized in partnership with other university institutions: the first two with the Federico II University of Naples, the third with the Sant’Anna School of Advanced Studies of Pisa. For each of these 4-year courses, 4 PhD students are envisaged, and are selected through an admission competition (based on qualifications and oral examination). On completion of their studies, students on the Ph.D. courses of the Scuola Normale are awarded the international title of Philosophiæ Doctor. The courses are open to Italian and overseas students alike; they have a strongly international character and are oriented towards the achievement of a particularly high level specialization in the scientific sphere (application deadline: August 24th, 2018; start of courses: November 1st, 2018; application requirements: must be under 30 years of age and must have master’s degree; info on the following website: phd.sns.it).